The recent news in The Washington Post (1/12/11) that Teresa Chambers, former U.S. Park Police Chief, may have her position reinstated is both heartening and cautionary. 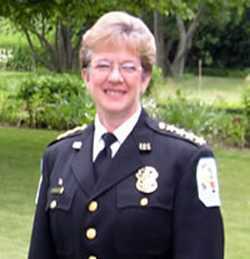 In 2003, Chambers made public statements that the Park Service police were too understaffed to properly protect US parkland, especially in the Washington, D.C. area. She was fired for this. I was aware of this story and brought it into conversations in my courageous follower workshops for federal agencies. As it happens, there was an occasion on which I was helped by a Park Service police officer. In appreciation I sent him a copy of my book, The Courageous Follower, suggesting that I thought it was relevant to Chief Chamber’s actions. The police officer was sufficiently moved to bring the book to the attention of his Lieutenant, and this resulted in my being invited to speak on courageous followership to the FBI Academy’s Washington Branch meeting that she was helping to organize. Law enforcement officers from every level of law enforcement are invited to the Academy’s training programs as a way to build relationships across agencies and levels. This promotes coordination and cooperation, and the relationships formed in this way are reinforced through periodic, multi-agency local meetings. by the National Park Service, the agency overseeing the Park Police. First belongs to the Public Employees for Environmental Responsibility (PEER), which represented Chambers and provides counsel and support to other whistleblowers. Second is well deserved by the Merit System Protection Board, which gave the case serious scrutiny and offered its corrective ruling. The third accolade goes, of course, to Chief Chambers, who persisted in having her case reviewed while continuing to provide public service as Police Chief for Riverdale, MD. The cautionary note is that this case took eight years to reach this point and, as the article points out, only about one percent of cases before the MSPB result in reinstatement. PEER has long cautioned potential whistleblowers about the personal price they are likely to pay and urges them to do everything possible within the system to correct serious problems before exposing themselves and their families to the personal cost of whistleblowing. The Courageous Follower supports this advice and provides many strategies for helping a system correct itself. Thank you so much for your kind article. It has been quite a ride for the past seven years! Please encourage your readers to visit my husband’s website, http://www.HonestChief.com, where they can read the MSPB’s decision, listen to selections in the audio library, review the history of this case, and leave comments if they would like. Thank you again for your interest and kindness.